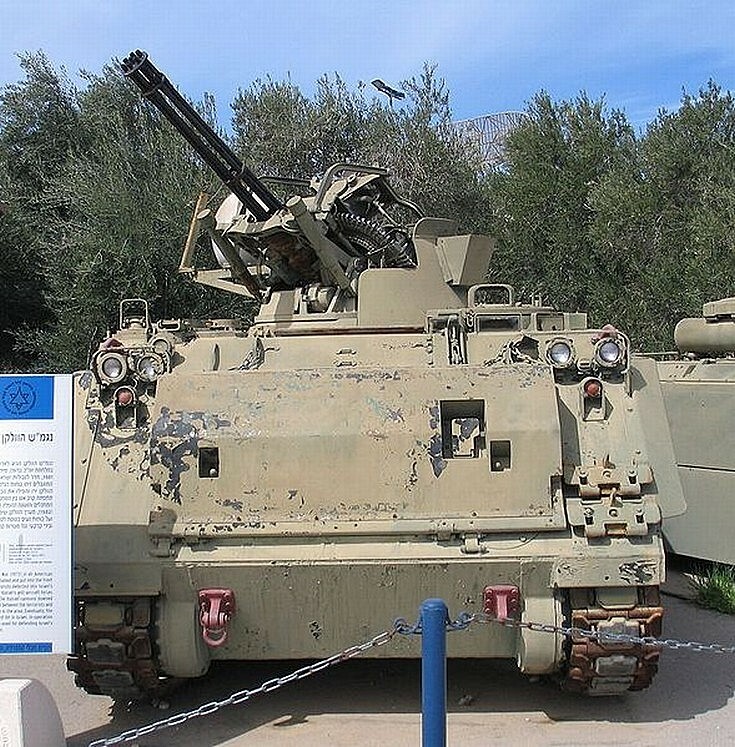 M163 VADS air defence vehicle at Muzeyon Heyl ha-Avir, Hatzerim airbase, Israel. The M163 Vulcan Air Defense System (VADS) is a self-propelled anti-aircraft gun (SPAAG) that was used by the United States Army. The M168 gun is a variant of the General Dynamics 20 mm M61 Vulcan rotary cannon, the standard cannon in most US combat aircraft since the 1960s, mounted on either an armored vehicle or a trailer.